At the MacBook Pro event, Apple unveiled the LG UltraFine 5K and UltraFine 4K display it had been working on in collaboration with LG. The displays have begun shipping to the customers, a day after the MacBook Pro with Touch Bar began shipping. The pre-order for the LG UltraFine 4K display went up along with the MacBook Pro with Touch Bar. The earliest you can expect the display to ship, if you have pre-ordered it, will be November 15 and if you are pre-ordering the display now, it might take 5 to 6 weeks to ship. There has been no word on the availability of the 5K display. According to Apple, the displays have been optimized to use the raw power of the new MacBook Pros (also other Macs). The company also confirmed that it’s out of the standalone display business . The pricey Apple Thunderbolt Display is no more. Talking about the new MacBook Pros, the 13 inch MacBook Pro with Touch Bar is capable of powering a single 5K display or if you’re going the 4K way, then the 13 inch MacBook Pro with Touch Bar will be capable of powering two 4K displays. 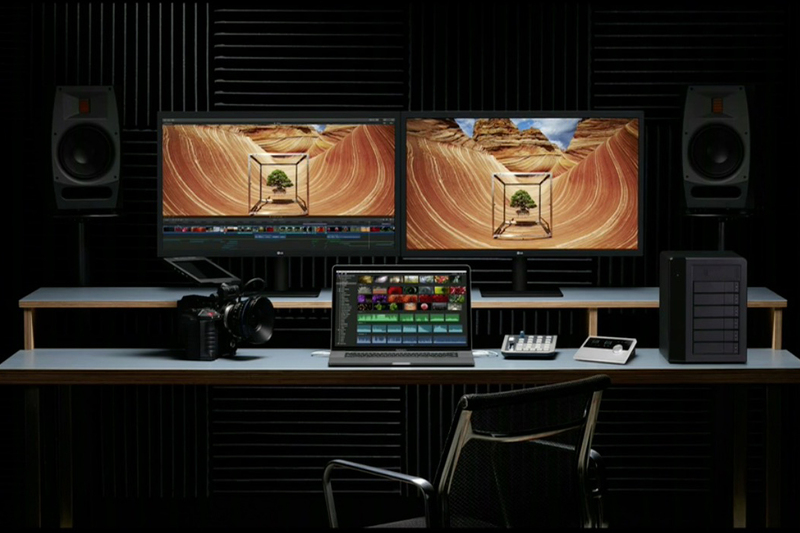 The 15 inch MacBook Pro with Touch Bar is capable of powering two 5K displays or four 4K displays. Both the 4K and the 5K from LG will come with three USB-C ports which can be used to charge the new MacBook Pro (or the MacBook) over the same cable that is used for video transfer and data transfer. If you have been following the news on the world of the new MacBook Pros, then you might be aware that the LG Displays have been discounted as a move to encourage the use of USB-C. Right after the unveiling of the MacBook Pro, users took to the internet to show their dismay over Apple’s plan to kill all other I/O in favour of the USB-C. The company had to handle a lot of heat. To cool things down, Apple discounted all of its USB dongles, cables (except the lightning to USB-C) and partner products which rely on USB-C.
You can take a look at our article on the price of the USB-C products sold by Apple.